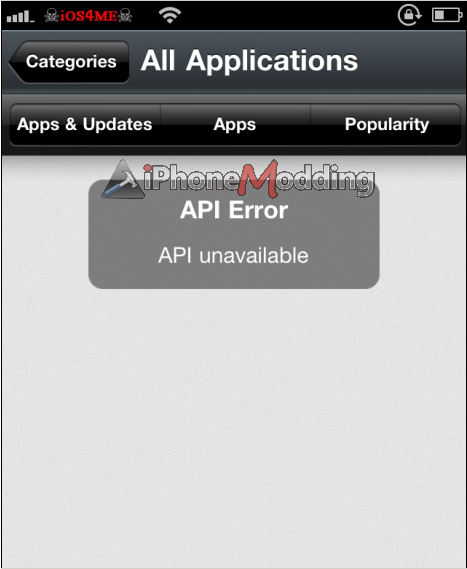 Installous API Unavailable error means Installous is unable to communicate with Apptracker server. For those who don't know, Apptracker is a web-based version of Installous which allows you to download IPA files directly on your desktop PC or Mac. 1. Make sure you are connected to a WiFi with an active internet connection. 2. If your internet connection is working fine, open Apptrackr.org in your stock Safari browser. There is much possibility that your ISP has blocked this website to discourage you from downloading pirated apps. 3. Apptracker website is down. You need to wait for few minutes before Apptracker server goes live again. What happened to the images iOS4Me? Thank you for sharing thr information with us. New to all this and installed installous on my 4s after jail broke it and when trying to download large files after a bit it comes up lost connection? Any help on this please to fix this? Does this Forum Support Piracy?